Family and friends can finally rejoice because the perfect minivan has arrived on the market to make the busy lives of drivers everywhere more efficient and more fun. The 2019 Toyota Sienna can comfortably accommodate up to eight lucky passengers who get to experience its seamless performance and an endless list of high-tech features for themselves. The vast amount of space provided within the safe, quiet, and secure cabin is as versatile as you imagine. Whether you need room for passengers or packages, the rear seating can easily adjust to suit your needs. That’s not all though; this minivan can push with up to 269 horsepower that has the potential to tow up to 3,500 pounds. Just because it’s big and powerful doesn’t mean it lacks fuel efficiency though. The 2019 Sienna has a rating of 27 mpg highway that is sure to save you a bit of cash. The best features though come in the form of safety. With all the enhanced technology options you will never again be caught off-guard of loose control while on the road. Basically, the 2019 Toyota Sienna is a balanced, family-friendly minivan that is carefully designed to provide comfort, safety, space, and power in a way that will match your lifestyle without missing a beat. The 2019 Toyota Sienna is designed to be a family-friendly vehicle that offers all the flexibility your hectic life requires. Classified as a minivan that measures to be 200″ L x 78″ W x 69-71″ H, the 2019 Sienna has plenty of space to comfortably accommodate up to eight passengers. With every seat up and in use you will still have up to 39.1 cubic ft. of space to do with what you will, but if you are low on passengers and overwhelmed with cargo then you can easily fold away the seating and gain a flat cargo area that offers 150 cubic ft. of space; these are not the only two options though. The versatility of the 2019 Sienna is seemingly limitless with the 40/20/20 split rear seating that can be divided in whatever way you want. If you have more passengers just add a few more seats, if you have more cargo just put a few down, it is as simple as that. And it can get even simpler; on the limited FWD Sienna, there is split-and-stow 3rd-row seating that is power operated to fold flat with little to no effort on your part. There is as an auto access seat options that rotates and extends the seat towards the outside for those who need some additional help getting in and out. A few other features that shouldn’t be overlooked are the dual power sliding doors, hands-free Liftgate, and smart key system that are just a few of the ways the 2019 Sienna was designed to make your life easier. Utility is a minivan’s bread and butter, but utility is no longer just seating and space. In today’s society connectivity is the real utility, and the 2019 Sienna offers that with its Entune infotainment system. This system allows you to connect the Sienna direct with your Apple or Android smartphone devices in order to access a number of apps. The best features are the ability to make, as well as receive, hands-free calls and texts without your hands leaving the wheel or your eyes leaving the road. There is also access to maps and music for your convenience and entertainment. On top of that, the 2019 Sienna is truly embracing the age of technology with a built-in 4G Wi-Fi hotspot that you can use anywhere, anytime. When it comes to looks the 2019 Toyota Sienna is without a doubt a genuine attention-grabber with its clean and cohesive design that is an elegant mixture of traditional flair, modern sculpting, and something entirely its own. Most may not be completely sure of what to make of this bold style choice at first, but the more you step back and really look at the Sienna as a whole, the more you begin to admire its carefully crafted je ne sais quoi. The first thing that stands out about the design of the 2019 Sienna are the upper and lower grille openings. While the top grille is elegantly connected to the headlights in a wing-shaped pattern, the lower grille consumes the bottom half in a bold and distinct stance. The 2019 Sienna SE adds even more to this style by inserting a honeycomb design to give it some additional sportiness. Drivers may also notice the low side rocker panels that are not just stylish, but functional for safety and handling. As for the interior style, the 2019 Sienna is fairly straightforward as far as minivans go. The utility is outstanding and the feature options are solid. The general style direction of the inside can best be described as causal-modern, but overall the cabin is clearly more directed towards function than style. Style isn’t always about looking about fitting into the mold, sometimes it’s about being able to just show up and show off what you have to offer, and the 2019 Toyota Sienna most definitely knows how to make an impression. When it comes to testing and implementing safety measures, no one does it quite as well as Toyota. Through careful research Toyota determines the most common causes of collisions, and then not only finds a solution for them but the absolute best solution they can come up with. This is because their dream is a collision-free world. This kind of dedication is especially appreciated in family vehicles like the 2019 Toyota Sienna. The 2019 Sienna goes beyond simply implementing protective measures like advanced airbag systems and seatbelts, and comes standard with the Toyota’s Star Safety System. This system protects by increasing a driver’s overall control over any situation through such tools as anti-lock brakes, electronic brake-force distribution, brake assist, smart stop technology, stability control, and traction control. With all that gear in every 2019 Sienna, losing control is almost impossible. You can also upgrade your safety with a number of Toyotas Safety Sense technology options. These are designed with the belief that increased awareness will increase reaction time, and in turn reduce accidents. The 2019 Sienna can be fitted with this sensing technology in the front, rear, and sides in order to always be one step ahead of a potential collision. Examples of these features includes pre-collision alerts with pedestrian detection, a rearview camera with parking assist, and lane departure alerts with sway warning and blind spot monitoring. The 2019 Toyota Sienna takes the safety of its passengers seriously, and so it attempts to combat potential accidents in any way possible, whether that be with increased control or increased awareness. Overall, the safety of your family while on the road has never been in better hands. The 2019 Toyota Sienna is a sporty minivan with handling and power that is sure to impress. The first thing to note about the 2019 Sienna is that it is currently the only minivan that offers all-wheel drive on its LE, XLE, and Limited models. This is a true shout out to those that need to have a minivan for the convenience of the family, but don’t want to feel inconvenience by slushy, muddy, rocky, and uneven terrain. The 2019 Sienna SE optimizes the handling even further though with electric power steering for a more performance-oriented feel. The 2019 Sienna comes with a 3.5L V6 that pushes out an impressive 296 horsepower that is paired with an 8-speed automatic transmission. 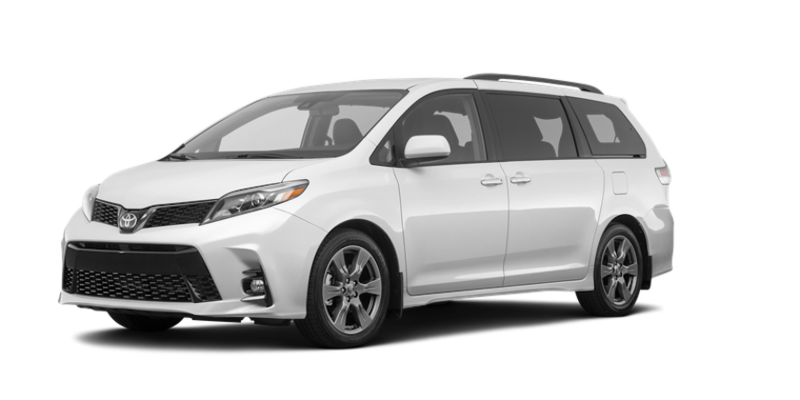 With its stiff body for enhanced responsiveness and air-fin stabilizers for increased airflow, the 2019 Sienna is not just powerful and easy to handle, it is just an all-around fun drive. Overall, the 2019 Toyota Sienna offers fair acceleration and smooth handling for its class. So with the facts on the table, it is pretty clear that this is a minivan that minican do anything. 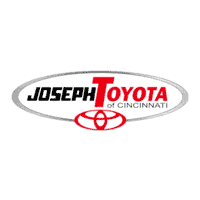 We at Joseph Toyota pride ourselves on innovation and originality. As the automotive community and its drivers continue to grow, we will grow with them. The only thing that will always remain the same is our respect for those we serve and the quality of vehicles we provide them. We are flexible and willing to work with any type of budget to get drivers on the road. Everyone deserves the right to experience all this magnificent world has to offer in the most convenient way possible, and we are happy to provide the ability to do that to our community.